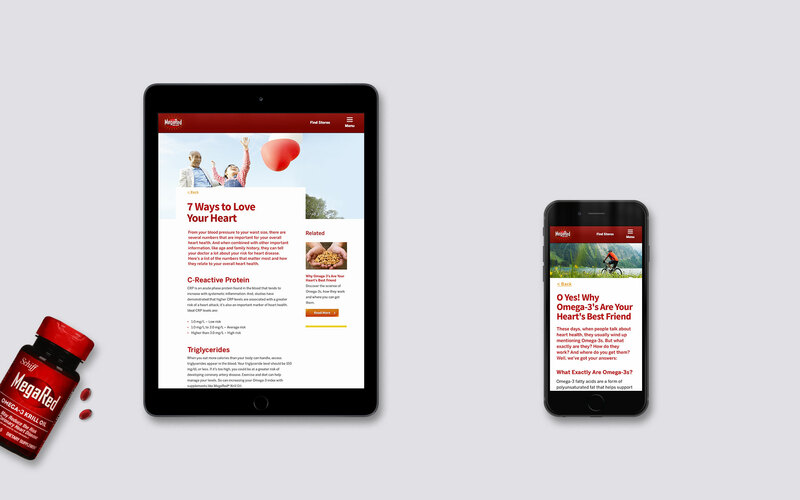 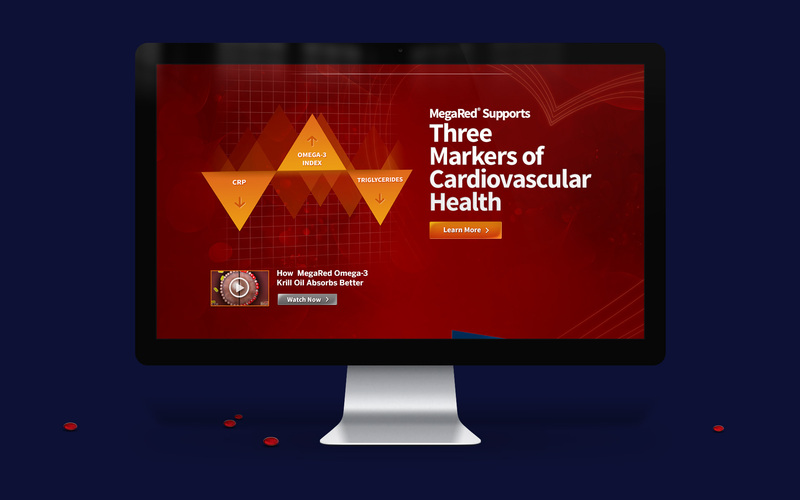 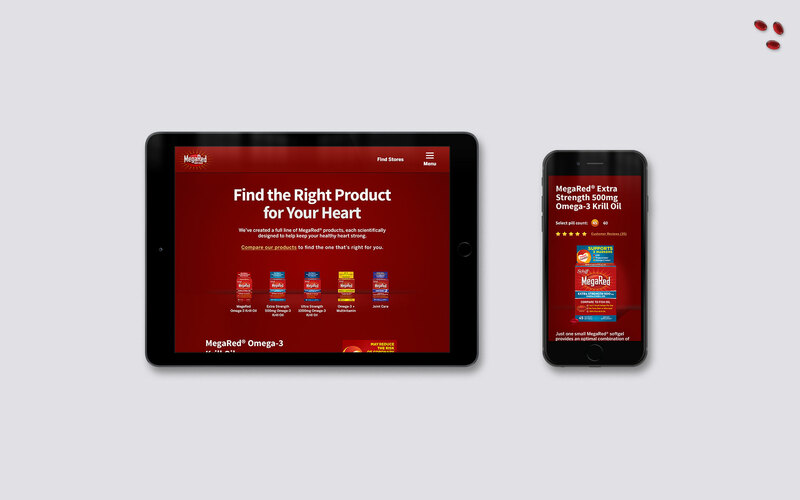 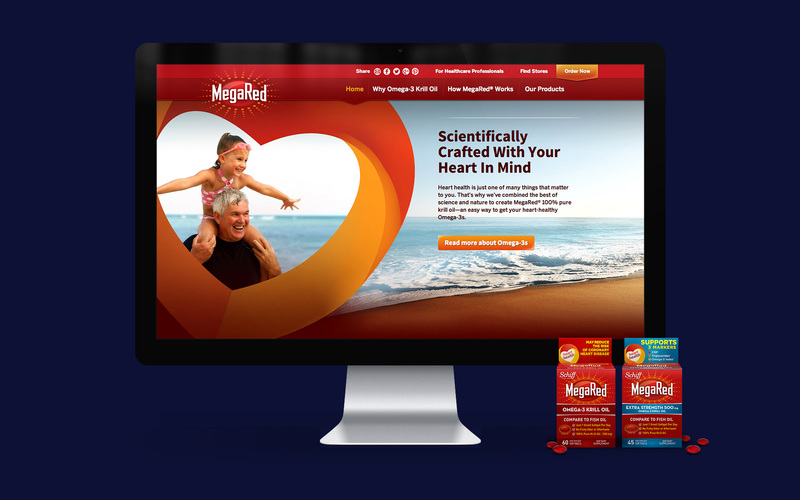 Designing a new website to help a heart-healthy brand differentiate its product and tell its story. 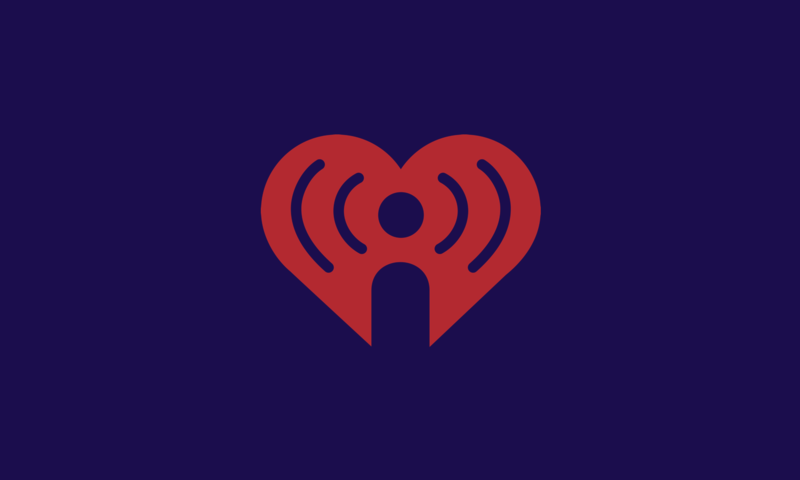 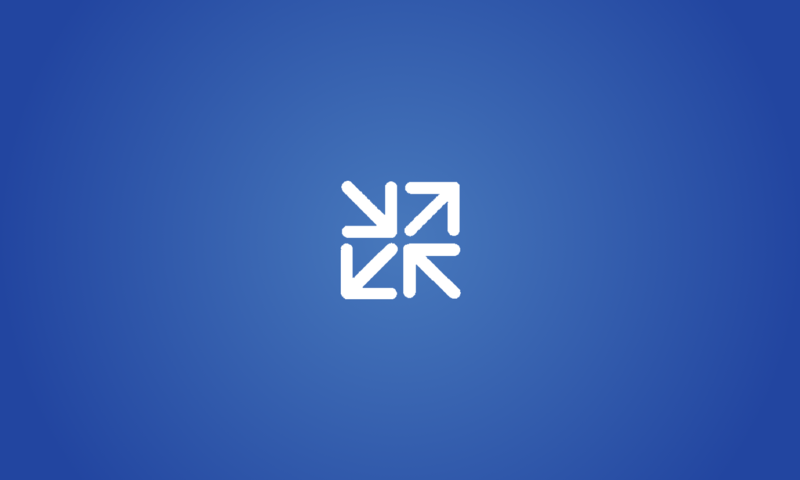 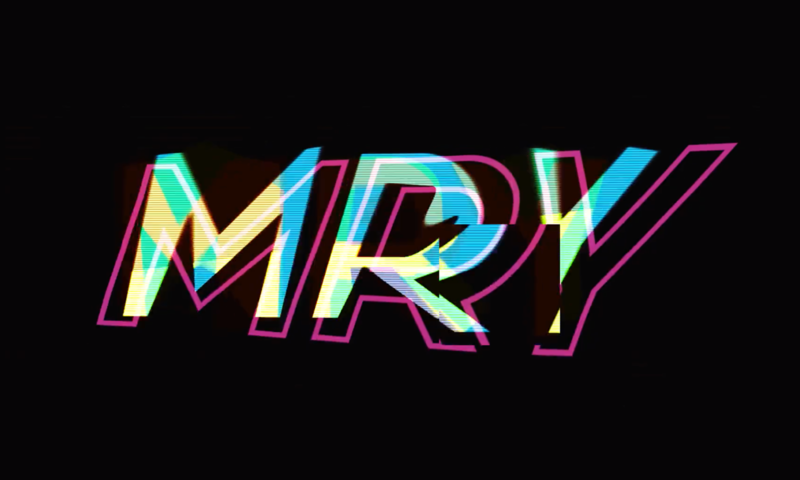 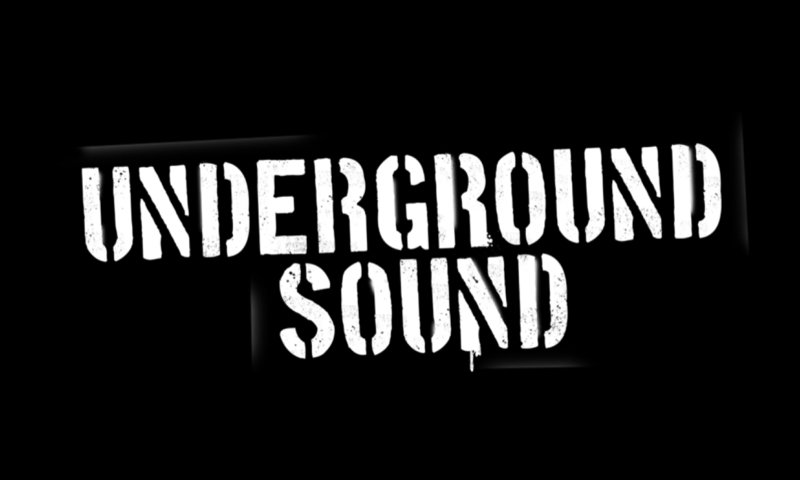 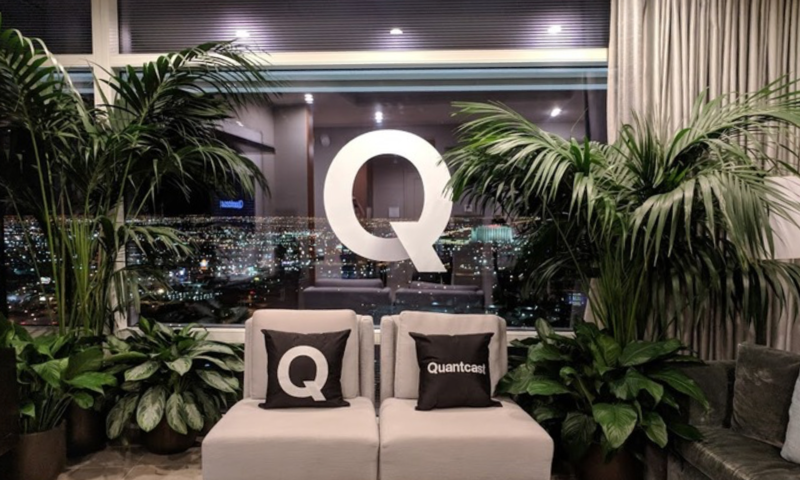 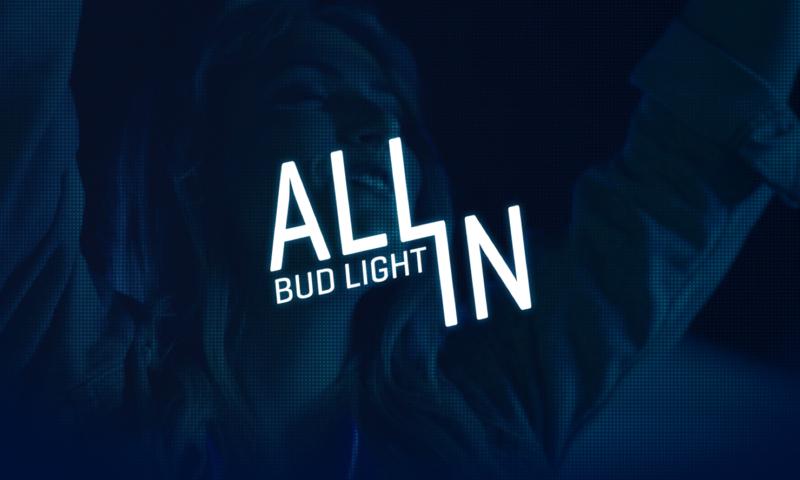 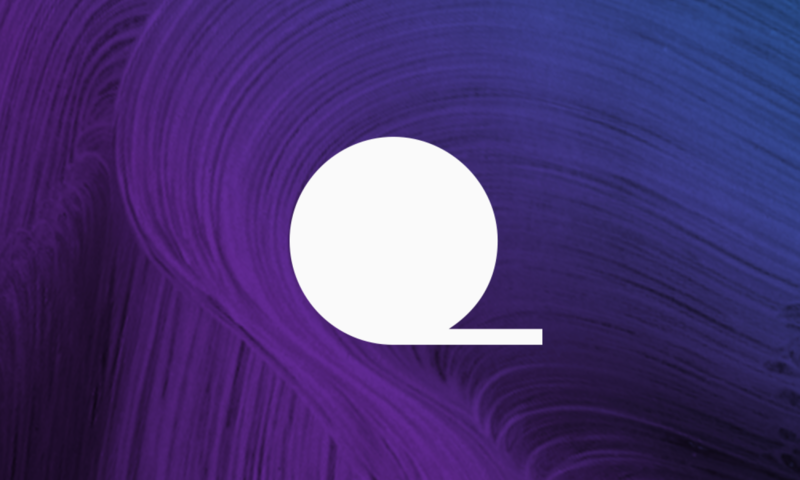 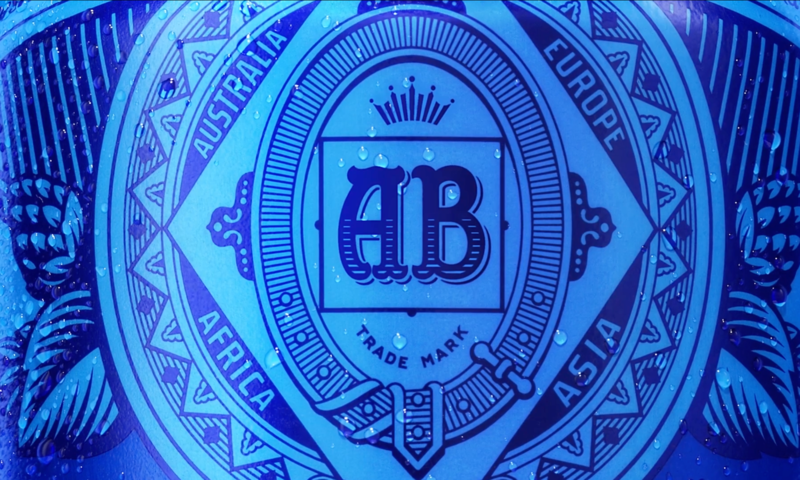 Introducing a new look and feel for a creative agency built for a new kind of consumer. 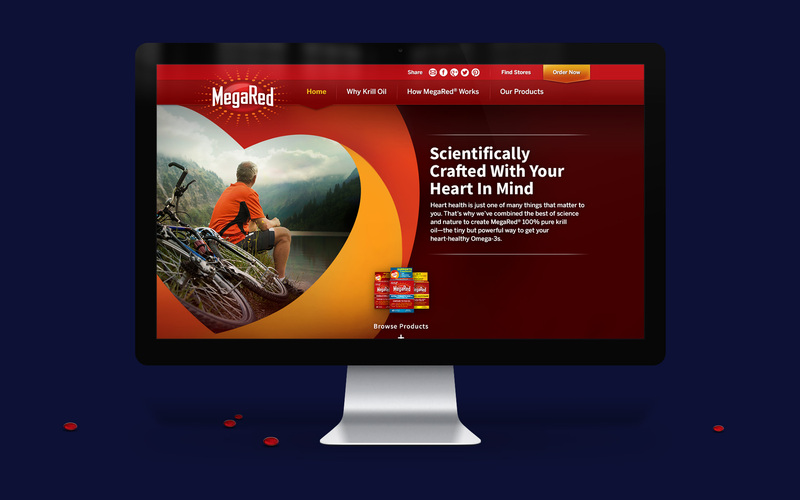 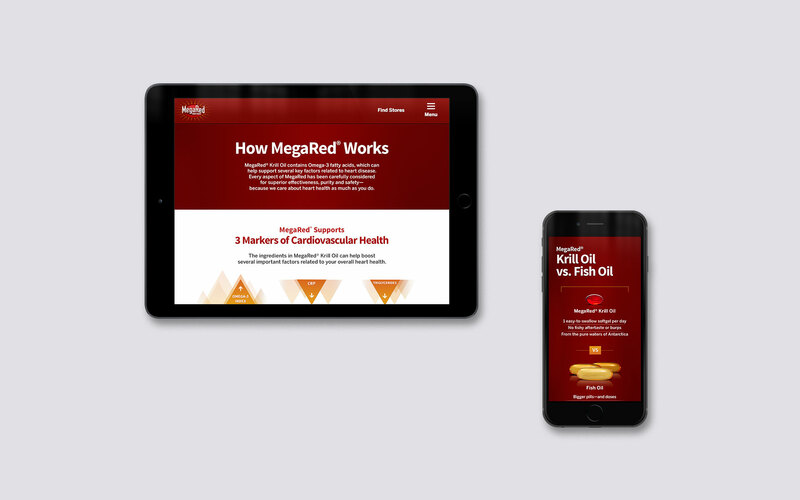 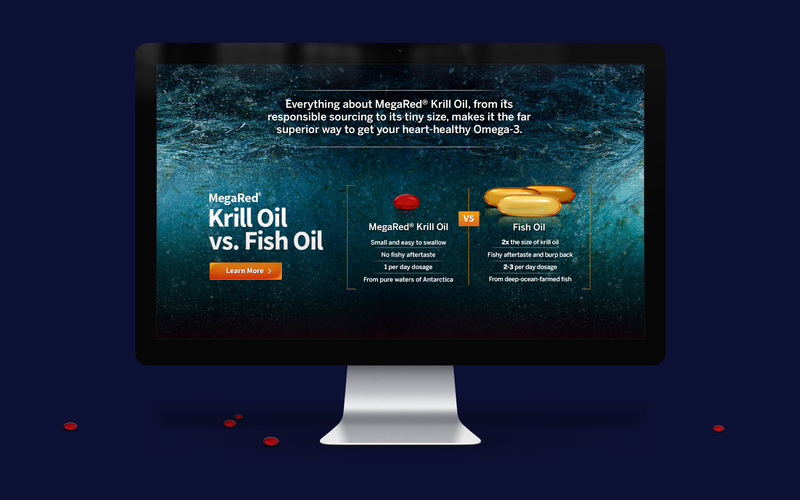 MegaRed is an Omega-3 Krill Oil supplement developed by Reckitt Benckiser as an alternative to fish oil. 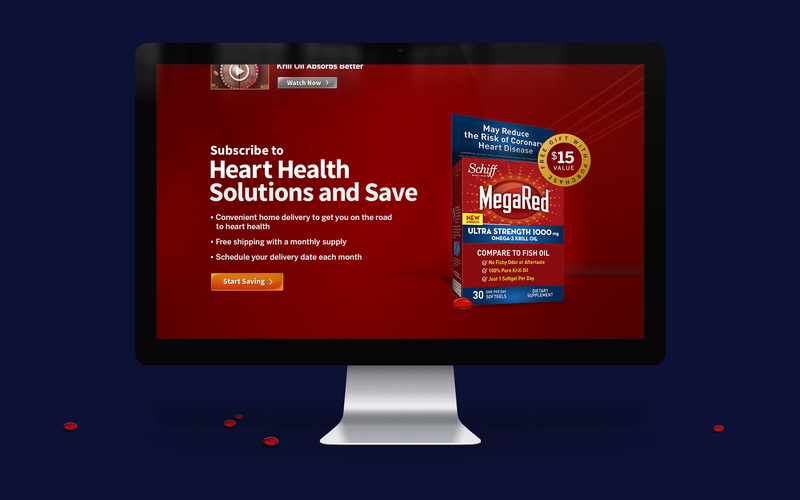 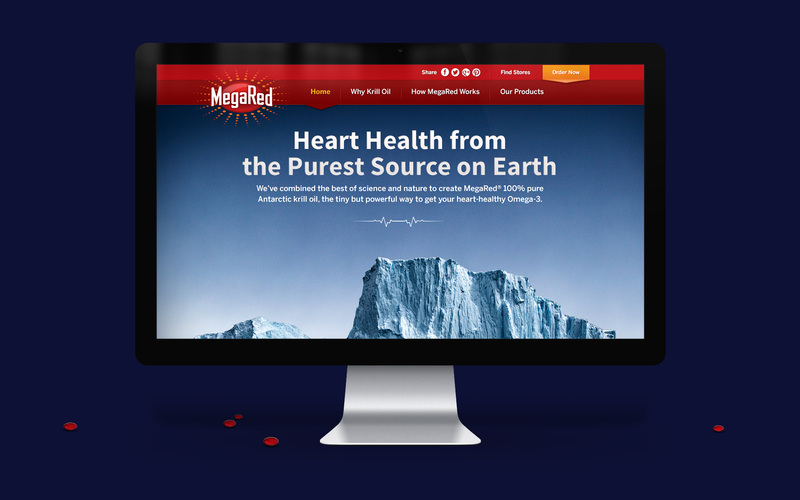 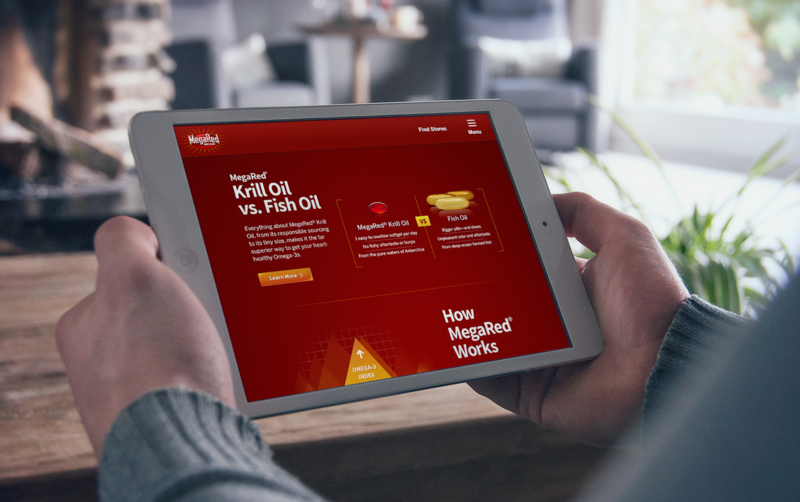 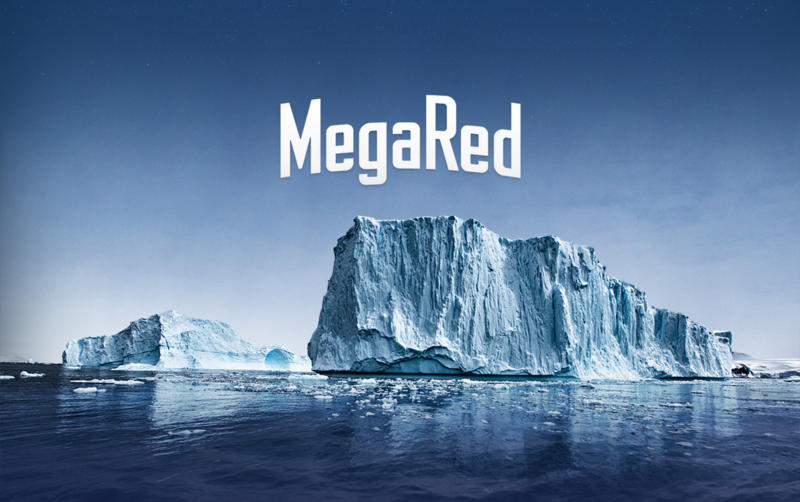 Sustainably sourced from Antarctic krill, MegaRed provides fatty acids that support healthy heart function without the fishy aftertaste. 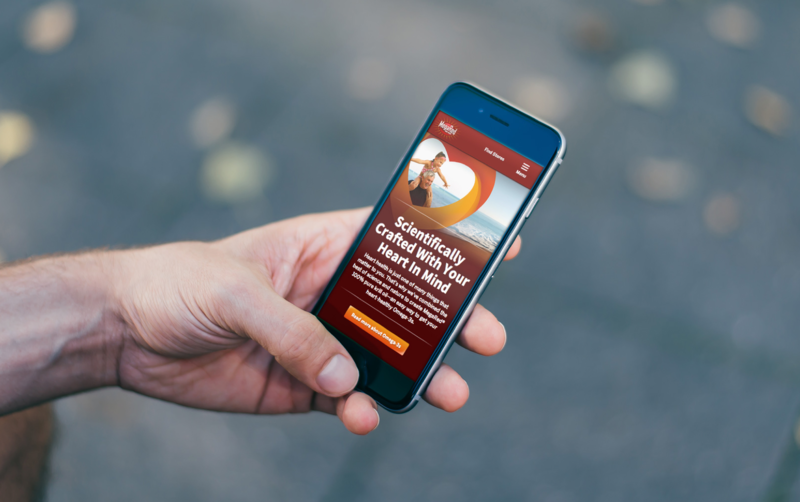 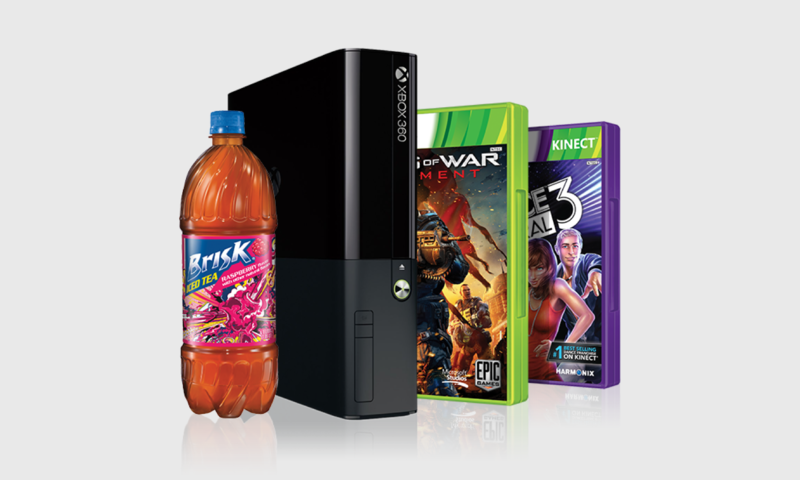 I was part of a team tasked with redesigning their website.